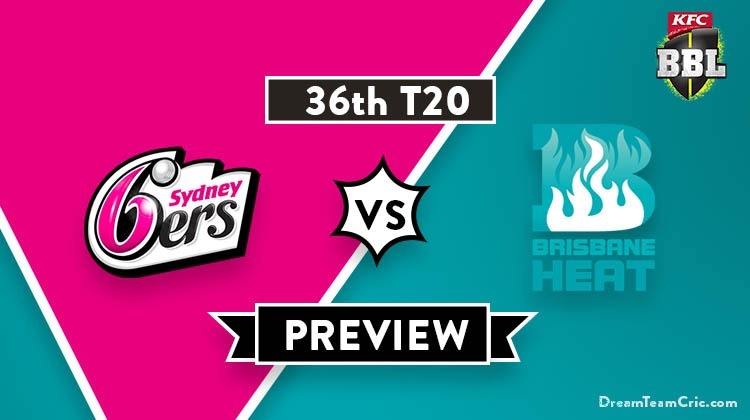 Hello and Welcome to our preview for Sydney Sixers vs Brisbane Heat match. 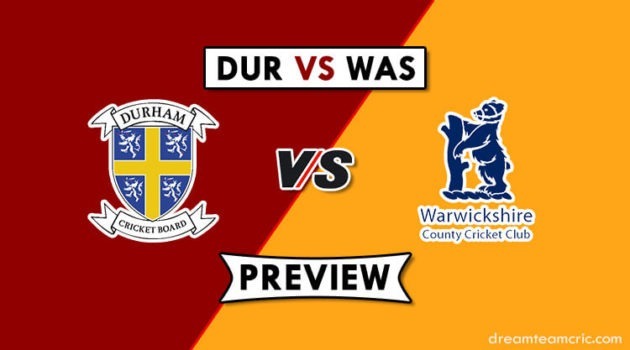 We are covering SDS vs BRH Dream11 Team Prediction, Preview and Probable Playing XI for the Big Bash League 2018-19 match. The match is to be played at Sydney Cricket Ground, Sydney. Sydney Sixers have won four and lost five encounters yet in the season. They lost their last match to Melbourne Renegades by 7 wickets. Batting first, They collapsed on 115 runs with Tom Curran being the top performer for his 44-run knock. Steve O’Keefe was impressive with the ball taking two scalps but could not defend the low total for his team. They will hope to make a strong comeback and improve their standing in the points table. Brisbane Heat is behind Sydney Sixers in the points table with three wins and four losses. Their last match against Sydney Thunder was abandoned due to floodlight failure. However, Sydney Thunder gave a target of 187 to Heat and also eliminated Bash brothers McCullum and Lynn early in the defence leading to a difficult situation for Heat but was saved by the floodlight failure. They will hope for a unison effort from players in upcoming matches. SDS VS BRH, 36th Match, Big Bash League 2018-19. Sean Abbott, Lloyd Pope, Tom Curran, James Vince, Mickey Edwards, Ben Dwarshuis, Jack Edwards, Moises Henriques (c), Dan Hughes, Steve O’Keefe, Josh Philippe, Jordan Silk, Ben Manenti. Chris Lynn (c), Max Bryant, Ben Cutting, Brendan Doggett, Sam Heazlett, Josh Lalor, Brendon McCullum, James Peirson (wk), Mitchell Swepson, Mujeeb Ur Rahman, Alex Ross, M Kuhnemann, Jack Prestwidge. They have declared unchanged 13 player squad for the match. Jack Edwards and Daniel Hughes will open the innings. James Vince, Moises Henriques, Jordan Silk and Josh Philippe will follow them. Tom Curran and Sean Abbott will play the role of finisher. Sean Abbott, Tom Curran and Ben Dwarshuis will lead the pace attack while Steve O’Keefe and Ben Manenti/Lloyd Pope will be the key spinners. M Henriques can support the pacers. The only change is expected in their playing XI is Lloyd Pope coming in for Ben Manenti. They have also announced 13-men squad for the match. M Kuhnemann is added to the squad replacing Mark Steketee. Jack Prestwidge can be replaced by Sam Heazlett so as to strengthen the batting attack. In case Heazlett is added in the playing XI then he can be promoted above Jimmy Peirson. M Kuhnemann can get a chance in the playing XI in place of Mitch Swepson. Chances of same are less. Brendon McCullum and Max Bryant will open the innings. Chris Lynn, James Peirson and Alex Ross will follow them. Ben Cutting will play the role of finisher. Ben Cutting, B Doggett and Josh Lalor will be the key pacers while Mujeeb will lead the spin attack. Jack Edwards, Dan Hughes, James Vince, Moises Henriques (c), Jordan Silk, Josh Philippe (wk), Tom Curran, Sean Abbott, Steve O’Keefe, Ben Dwarshuis, Ben Manenti/Lloyd Pope. Max Bryant, Brendon McCullum, Chris Lynn (c), James Peirson (wk), Alex Ross, Sam Heazlett/Jack Prestwidge, Ben Cutting, B Doggett, Josh Lalor, Mitchell Swepson/M Kuhnemann, Mujeeb Ur Rahman. Captain and Vc choices: Chris Lynn, D Hughes, M Henriques, Tom Curran, Mujeeb Rahman, B McCullum. 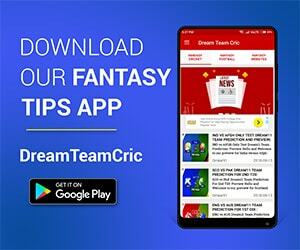 If you liked SDS vs BRH Dream11 team prediction, then follow us on Twitter for Latest Cricket News and Grand League Teams.